Industrial visits form an integral part of the holistic education curriculum at Chitkara University. Students visit companies and get the insight of the internal working environment of the company, and useful information related to the practical aspects of the course which cannot be visualized in lectures. 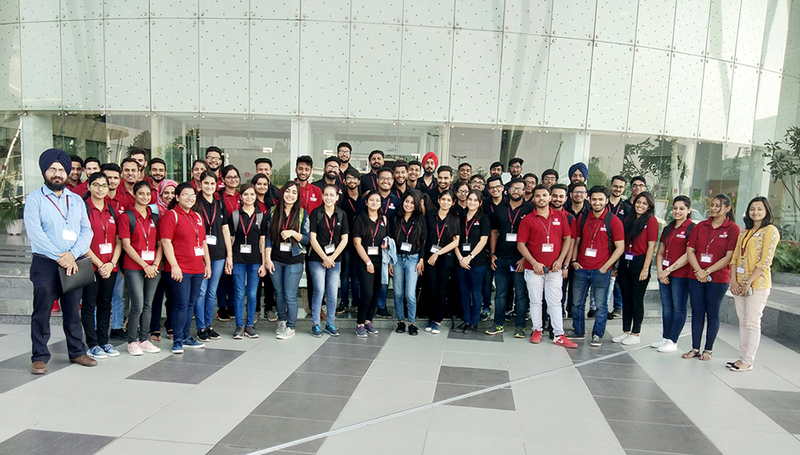 With this in mind, Computer Society of India (CSI) Student Chapter, under the aegis of Department of Computer Applications, organised an Industrial Visit to Infosys, Chandigarh, with an aim to give the feel of professional environment of the software industry. During an interactive session with the students, Mr. Abhishek Verma from ETA – Education & Training Assessment, shared information about Infosys Ltd. and its recruitment process. He also spoke about the current IT trends & skills required to get hired by Blue Chip companies. The students were also briefed about different career opportunities in the IT industry, and various IT-related roles they can explore. He also shared top mantras for success and answered a number of queries posed by the students. After the session, students took a tour around the Infosys Campus to see the workstations, facilities, etc.